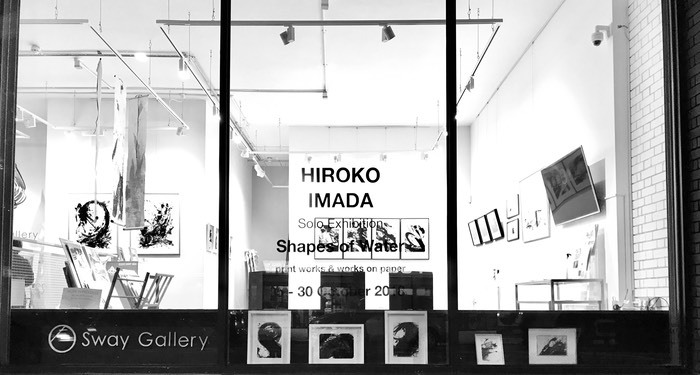 Hiroko is a painter, printmaker, and site -specific installation artist. and regularly teaches at the Prince’s Foundation School of Traditional Arts and the British Museum. More articles related to this show is from here! Vertu commissioned Japanese artist, Hiroko Imada, to develop the campaign visual concept for Aster Yosegi Wood. Born in Tokyo, Hiroko studied at the Tokyo Zokei University and later at the Slade School of Fine Art (University College London). She has a unique talent in blending traditional Japanese artistic methods with modern technology to create something completely unique. These skills along with her experience in Japanese woodblock Printmaking, and Paper installation using her own Japanese handmade paper, make her the perfect artist to collaborate with as we launch the Aster Yosegi Wood. Vertu invited Hiroko to develop the campaign visual concept for Aster Yosegi Wood because we wanted to work with a Japanese artist to create a piece of work inspired by the Yosegi wood pattern, which is based on bamboo weaves and fishnets. We chose to collaborate with Hiroko as her wood block printing techniques originated in the Edo Period, the same era as that which the Yosegi craftsmen started working. The resulting piece depicts a beautiful, traditional bamboo grove and was produced using a printing method called 'lithography on plywood', which was invented in Japan.